There are lots of interesting things to think about here. I challenge you to think through each overlapped or non-overlapped section and consider how many things in your own life may indeed fit in each section of the Venn Diagram. This entry was posted in Leadership, Uncategorized and tagged Ghandi, graph, most of the world's problem, quote, venn diagram. Bookmark the permalink. For all the opportunities we seize, there are always a hundred more we miss. But that doesn’t mean we should ever settle for anything less than trying it all! I am obviously missing something. 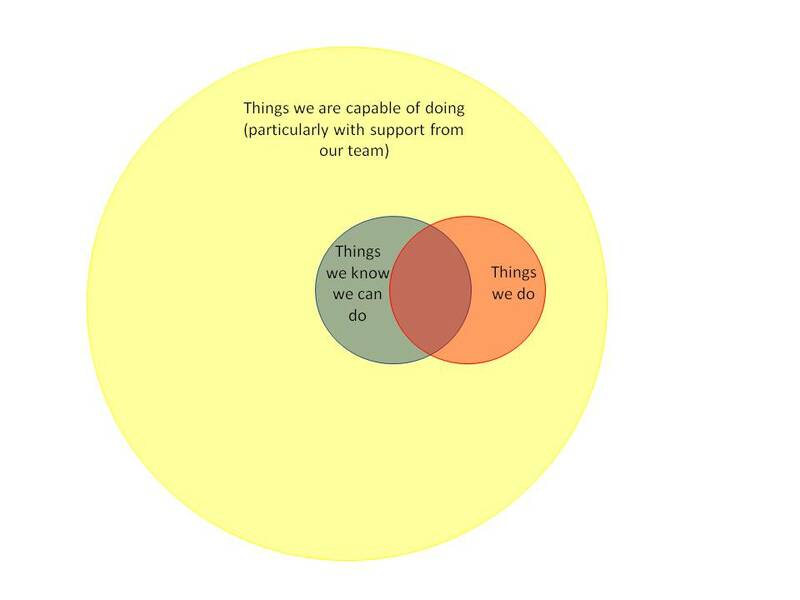 Why is so much of “things we do” outside “Things we know we can do?” A small sliver, maybe. Tops.